It's very rare to visit a city with over 100 restaurants and only 3 of them are chain eateries! Well - welcome to the food scene in Eureka Springs. Our entire downtown is on the National Registry of Historic Places so no chains - food, shops or otherwise - are allowed. The cuisine and spirits are as diverse as the town itself. Most of the restaurants are chef-owned and operated with menus dripping with secret family recipes and ingredients. No matter your taste or diet, you wont go hungry or thirsty in Eureka Springs. Mexican, Thai, Italian, fusion, farm-to-table, barbeque, burgers, steak, fish, Chinese, southern comfort and low-south tastes can all be satisfied with options spanning down-home southern comfort food to award-winning bistros and 5-star, high continental cuisine. You'll also want to visit our two wineries, brew-pubs and coffee houses. 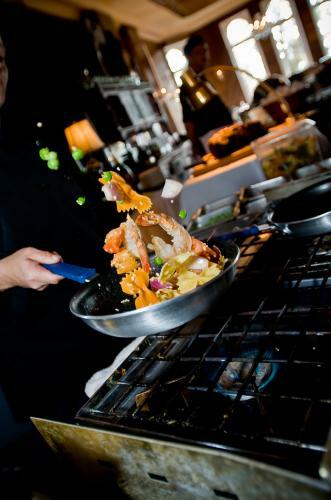 Eureka Springs offers you a dining experience like no other. Click here to see a complete list.